Ive been crochet crazy these past few months, working on alot of my wips getting some projects finished and starting some new ones yayyy! This time of year just before autumn is my favourite i find my crafty mind goes crazy with all the future christmas presents and scarfs to crochet up! So this post will be about my crochet journey over the past few months along with a few other updates in my crafty world. 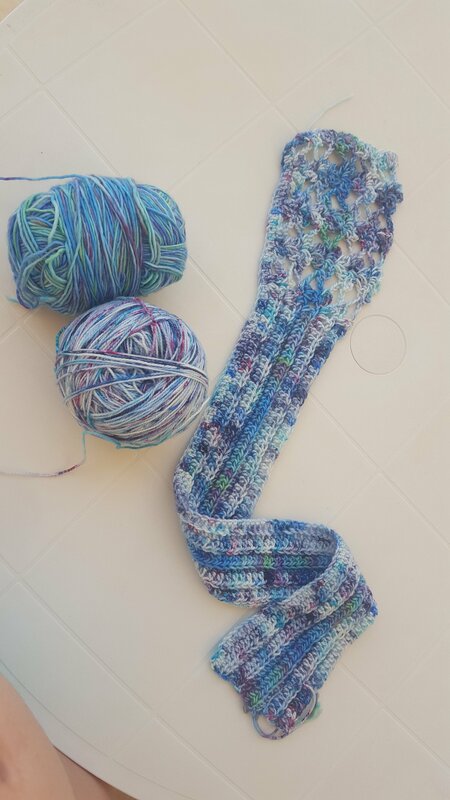 Crochet socks- this is a pattern by vicki brown and its really easy to follow. They were my first ever pair of crochet socks and i love them! You work it top down and this makes it easier to have a sneaky try on of your sock when you are half done hehe. 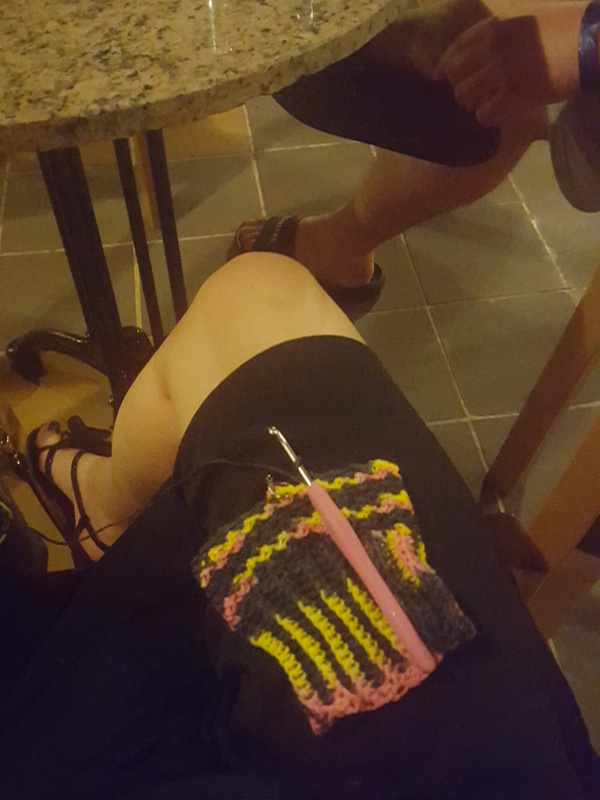 Ive been looking at the knitted socks and cant knit but i wanted to get on the sock band wagon! Now Im well and truely on it and have finished a pair for myself and am now crocheting my second pair for a christmas present for someone. The yarn im using is norahgeorge 4ply. This little project was a stash buster i wanted a small matt for my bathroom and it so happened i had a small amount of tshirt yarn from Hoooked in my stash so i sat down one afternoon and just made it with a 12cm hook. The pattern is really simple and you could keep going and change colour as many times as you want. The pattern will be free on my blog by the end of october. Charlotte blanket-by dedri from lookatwhatimade this pattern is so easy to follow and im finding it a nice change to the smaller more fiddly things ive been make as of late. My plan is to make atleast 4 to 6 large charlotte squares for a blanket im so far on the second one! Which is hidden away in one of my mums project bags she makes them and you can find her on etsy as clararosecrafts. 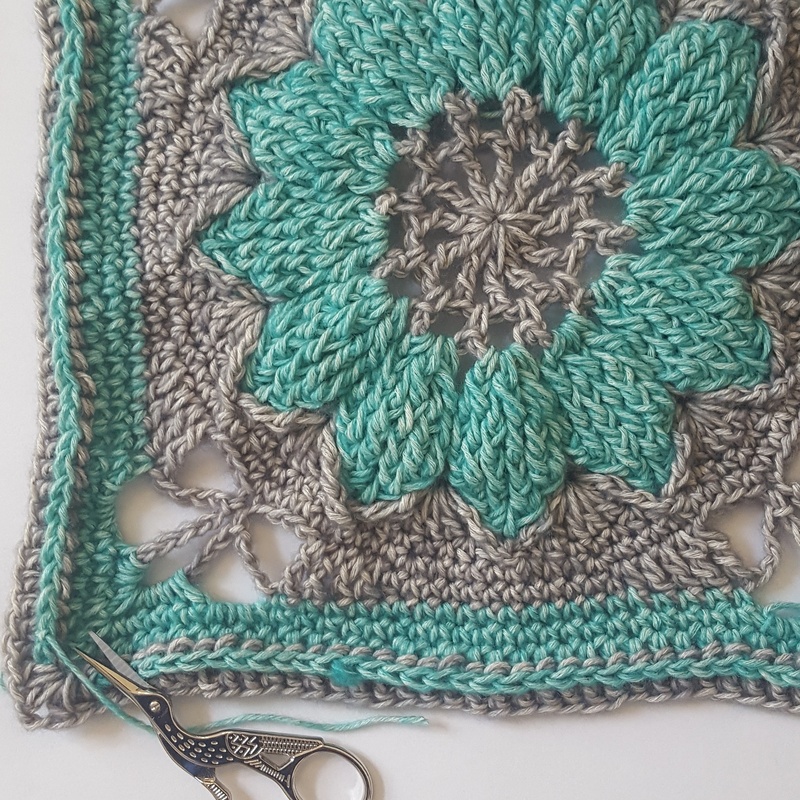 My second WIP is the two row tee – desgined by joanne from the crochet project. This is a perfect project if you haven’t made a garment before as it only has two parts to it and itsnt too overwhelming which helps as if your like me you stray away from garments for the many pattern pages. im doing this project to follow the backtoschoolcrochetsweater cal which you can find on instagram and the link is to ravelry (something ive started to use more and more these past few months). Theres many different blogs with good advice and info about making your own garment such as Tamaras here Which im so glad i have joined and love seeing all other peoples crochet garments as its not really the main go too craft when making garements its usually knitting. Hopefully much more in the next update. Thanks for reading! Previous: Previous post: Finished projects! From may to july. Super round up Jo! Yay! You made your first crochet socks. 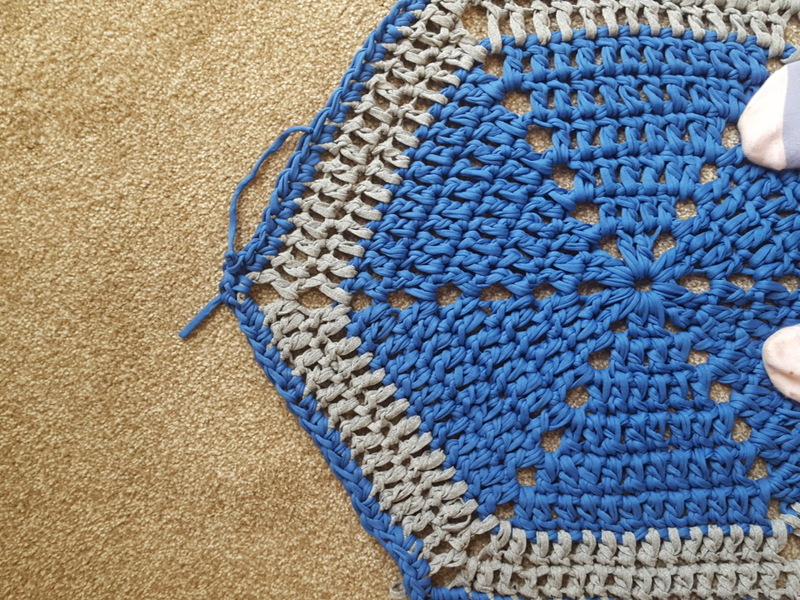 Love your hexi rug pattern too! I must add the Charlotte blanket to my Ravelry favorites. Thank you for directing people to my blog for crochet garments. I’m all about the crochet garment love right now!! I love the colours you have chosen for your charlotte! that’s a blanket that is on my list! 😊 great round-up!